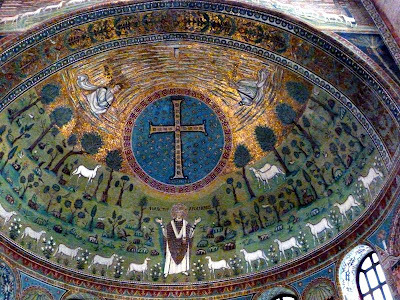 Sant Apollinare in Classe, outskirts of Ravenna. Very peaceful. Like stepping into another world. 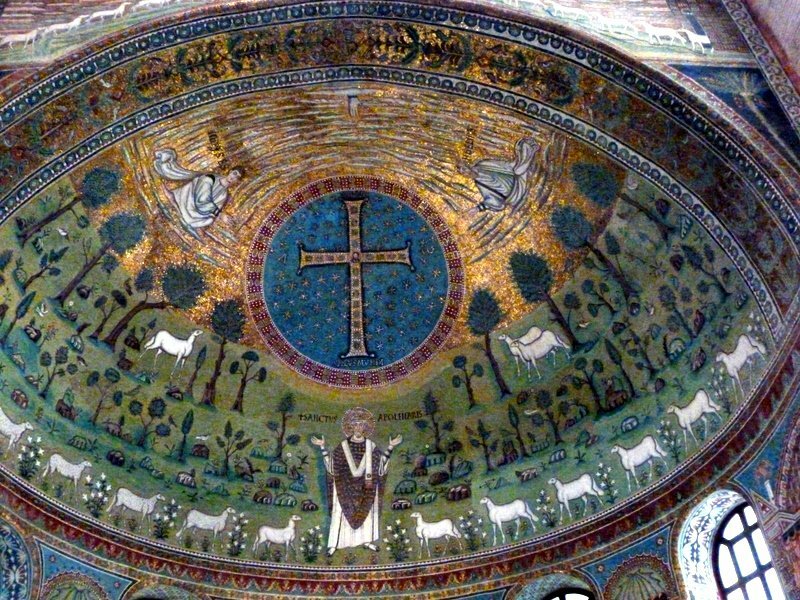 The mosaic in the apse, shown before is an allegorical representation of the Transfiguration. It is hypnotic. 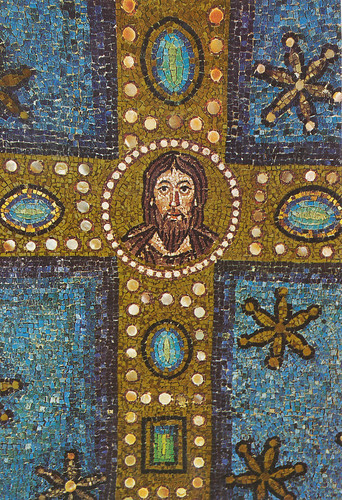 Right in the centre of the cross is an image of Christ, see detail above. Funny, how the Christian imagination has almost always represented Christ in the same way–long, lean bearded face, piercing eyes. Cool. Never seen/heard of those. I have visited Rome twice, but am a bit claustrophobic, so have never been in the catacombs. Perhaps one day–or perhaps not!! No, actually. That was an image that eventually prevailed, since it was adopted by the imperial artists. But some images of him in the catacombs show him as a young, beardless, curly-headed shepherd.